Both home and business networks are becoming increasingly complex as users continue to run more and more applications that are competing for resources. Network monitoring software tools can be extremely effective in making sure everything in your network runs seamlessly, while facilitating easier troubleshooting when things do go wrong. Network monitoring is a subset of Network Management Software and these tools are specifically designed to continuously monitor a network for issues such as failures, error conditions, availability, uptime, bandwidth utilization and outages. It is also possible to identify wrongly configured devices that are not performing as they were intended to be, such as QoS (Quality of Service) prioritization of different traffic types. In addition to automated monitoring, these tools are incredibly valuable for troubleshooting network issues and allow for deep packet inspection of almost every protocol imaginable. If you have IP based voice running on your data network, you are likely going to need to examine the transmission and reception of SIP packets at some point, if you run into any issues. The majority of complaints about VoIP service typically result in the root cause being identified as a network issue. A high quality, correctly configured network with the appropriate bandwidth availability is critical for a successful VoIP deployment. So if you don't already utilize one of these network monitoring tools, we recommend that you try one out and become familiar with how to use it. Now that you know what network monitoring software does and why you need it, let’s take a look at ten of our favorite tools. Description: Wireshark is one of the most popular and well known network monitoring tools. The free version gives you access to a large suite of features that will likely suffice for most requirements. We particularly like the support for telephony that includes the ability to analyze RTP streams in addition to SIP, H.323, MGCP, ISUP and UNISTIM. Telephony is just one feature among many others and Wireshark allows for packet inspection of hundreds of different protocols, in addition to powerful filtering capabilities. Description: If you are looking for software to manage your IT systems and network, then look no further than Spiceworks. In addition to offering a powerful free network monitor, Spiceworks also offers network inventory management, IT helpdesk and mobile device management software, all for free. The monitoring tool itself offers web traffic reporting, real time analytics, bandwidth management, alerts, server monitoring, resource management, uptime tracking and diagnostic tools. Description: Solarwinds has split its network management software into multiple different tools at varying price points. The Network performance monitor is an extremely powerful enterprise grade software package that features fault identification, availability monitoring, alerts, route monitoring and dynamic network mapping, in addition to packet capture and analysis. A VoIP and network quality manager tool is available starting at $1,585. This tool primarily focuses on quality of service and provides information on packet loss jitter, latency and Mean Opinion Scores (MOS) for Cisco and Avaya enterprise telephony solutions. Description: Used by over 150,000 system administrators, the PRTG network monitor is a unified monitoring solution that enables round the clock supervision of network devices, VoIP, QoS, servers, applications and bandwidth utilization, in addition to many other critical components, protocols and software. The licensing is based on the number of sensors that you require with each sensor performing a different function. For example to monitor voice services on the network, you can utilize the SIP Ping sensor which will provide server response times and codes. The IP SLA sensor will provide critical information on voice performance that includes jitter, latency, MOS and packet loss. This is a powerful solution that will be worth its weight in gold to any corporation and help network admins sleep better at night. Description: A division of ZoHo Corp, ManageEngine offers a full suite of IT management software solutions. Boasting millions of customers in addition to stating that around 60% of Fortune 500 companies use its software, the company’s products are certainly worth consideration when shopping for IT software. The OpManager platform is a comprehensive suite of tools that includes network, server, fault and data center management in addition to integrations, apps and enterprise class monitoring. IP based voice monitoring is available through use of the Cisco IP SLA. Description: This is robust, easy to install software that can run on almost any computer. If some of the more expensive options are overkill for what you need, then this may be a good option for you. The software is comparatively cheap and specializes in network monitoring as opposed to offering a whole bunch of other features that you likely do not need to manage a smaller network. Includes important monitoring types such as server, port, database, SNMP, WMI and system parameter monitors. Description: SAAS (software-as-a-Service) based platform that allows for fast deployment and automated network discovery with no requirement to use additional hardware. Supports over one thousand technologies for in-house, cloud and hybrid network monitoring. Customizable web portal with over 600 modules capable of tackling almost every monitoring or alerting task you can think of. Description: This is a powerful unified infrastructure and application monitoring solution that delivers advanced tracking and reporting capabilities in addition to offering optional plug-ins for features that you may or may not require. The VoIP monitor plug-in is available starting at an additional $995 and enables monitoring of Cisco IP SLA supported devices. Typical Cost: Starts at $85 for one host license. Description: This company differentiates from the competition by offering licensing based on price per host as opposed to cost per sensor. You can also collect as much data as you want at no additional cost. Outside of price, EventSentry definitely has a compelling suite of tools that allow for effective monitoring, reporting, management and compliance. Typical Cost: Starts at $2,976 per year for R&D version. Description: Available as a physical or virtual performance appliance solution, the SevOne platform offers customized products for network, SDN, Hybrid Cloud and 4G LTE applications. The network product offers a scalable and extensive set of features while supporting a large number of 3rd party device integrations. Each license includes a complete set of plug-ins which includes one for VoIP monitoring that enables the tracking of call quality metrics, availability and server response time measurements. Cisco and Avaya unified communications software is supported in addition to other SIP compatible systems. This is truly an enterprise class solution that can easily scale to meet the needs of large networks. While these are what we consider to be 10 of the best network monitoring software tools currently available in 2019, this is a small sample of many different solutions that are on the market. There are many other opinions and references available so we recommend you also check out wikipedia's list for a comprehensive comparison. Does the solution support the features and protocols that you need to monitor? Will it work on all the devices on your network? Are there any hidden prices for items such as support and maintenance? Will it scale in line with the projected growth of your network? While the actual cost of the software is likely also a major consideration, your network is often business critical so you do not want to take chances by penny pinching, and ultimately choosing the wrong application. Note that some of these are very specialized applications for specific tasks and many are open source solutions. If you know of any others please let us know by using the form below, and we will add them. For additional monitoring information specific to IP based voice, please check out VoIP monitoring. Thank you for the article. We actually tried several tools from the above list. Finally we found CloudView NMS. 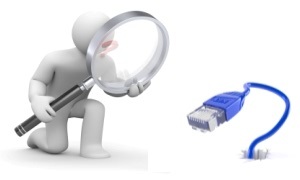 We found it looking for affordable way to monitor VoIP Servers from our customers premises. It allows to configure a chain of connected slave-NMS servers which a report a full picture and alerts to master NMS in "Central Office". The GUI is very intuitive. It is available both via HTML-5 web interface or full-blown windows interface from any client OS (windows/linux/mac).